Mastercard has new rules aimed at reducing unscrupulous subscription billing practices. In a Jan. 17 blogpost, the credit card giant says merchants will no longer be allowed to automatically convert customers who have signed up for a free trial into paid users. The rules are (for now) directed only at subscription billing merchants who sell physical products like cosmetics and shaving kits, but make no mistake: This rule change signifies the start of an industry-wide shift. In the highly competitive world of credit cards—where profit margins have been squeezed as tougher consumer protection regulations (such as the Credit CARD Act of 2009) have been introduced a move by one major player will inevitably be emulated by the others. Ethical business owners currently offering free trials that convert to paid subscriptions should welcome this change as it will improve consumer confidence in the free trial model. If potential customers know they will not be duped into a recurring bill once their free trial has expired, they will be more likely to sign up for free trials in the first place—and more free trials mean more momentum toward repeated invoicing and increased sales. The offer of a free trial and the subsequent billing potential it produces is a key lever in the subscription billing toolbox. Industry veterans know that potential customers who are unsure of the effectiveness of the product on offer are put at ease by the free trial model. During the trial period, these customers are given the opportunity to see the value of the product on offer. For businesses offering quality products and services, a significant percentage or free trial signups will actively convert to paid users. That’s the ideal, “everyone’s happy” free trial result. However, the sales funnel also plays an important role in onboarding customers for many subscription-based businesses. And this is where the free trial model runs into controversy. There will always be a percentage of prospects who convert to paid subscribers, merely because it’s easier than finding an alternative. Such customers are already in the funnel and end up converting to a paid customer. This result can also be seen as a win-win because for these “lackluster” customers, the product or service still meets their needs but doesn’t require further effort on their part. However, there is a small percentage of free trial customers who either forget that they have signed up or are otherwise tricked into a paid subscription. A reputable business with a long-term vision will do their best to ameliorate this final group. It’s in a business’s best interest to, for example, actively send reminders that the free trial will end or swiftly refund those who have subscribed by accident, thus avoiding unhappy customers and charge-back disputes. Unfortunately, there are unethical businesses that either rely on customer’s forgetfulness as a critical source of revenue, or who purposely trick customers by making the free trial terms hard to understand. Mastercard’s new rules for subscription billing aims to eliminate these poor business practices. A 2017 creditcards.com poll on recurring charges revealed that 48 percent of U.S. adults surveyed had set up an account that enrolled them in automatic payments without them realizing it. Of those, nearly half indicated that it was difficult to turn off recurring charges once they got started. The poll also discovered that 88 percent of respondents who had been enrolled in an unwanted subscription cancelled it, while only 51 percent were issued a refund. The unscrupulous business practices that lead to poll results such as this is what gives the recurring billing industry a bad name, making it harder to convince leads to enter the sales funnel. Eliminating the bad apples will have the long-term effect of improving customer trust and raising overall sales for businesses which truly do offer valuable products and services. With that in mind, let’s look at some of the features to look for in your recurring billing platform to ensure that you not only stay ahead of the regulatory curve, but also maintain the highest level of customer satisfaction. After all, no self-respecting business wants unhappy customers who feel like they’ve been tricked into signing up for a product or service they don’t want or need. Informing prospects from the outset that they will not be automatically billed is an opportunity for an ethical businesses to gain trust and ultimately improve sales. The free trial component of your recurring billing system must allow you to easily enter the above information and ensure sure your customers automatically receive that information. Your system must enable you to customize and adjust the free trial period in days, months, unlimited, etc. As a free trial progresses, it should be easy for your customers to activate their subscription when they are ready. Reminders should automatically calculate the time remaining in the trial period, while linking to the activate or cancel pages. It must be made clear to customers that, if and when they do activate their paid account, they are still getting the remainder of their free trial. In other words, early activation must not be perceived as coming with a penalty. For more on this, see tip 5 below. At the same time, customers must know that it’s easy for them to opt-out throughout the process. Providing easy opt-out capability builds trust, leading to reduced churn rates in the future. It’s important to note that while Mastercard’s rule change indicates a shift in the free trial landscape, it is not yet applicable to businesses offering digital products and services. Your recurring billing system should, therefore, still allow you to automatically upgrade the customer after the free trial period is over if they haven’t decided to cancel. Remember, with the previous steps in place, you will have given your leads plenty of opportunities to opt-out. You will have made it crystal clear to your customers what they are getting into. It’s safe to assume that any lead who has made it to the end of the free trial part of the funnel without opting out, therefore, is a customer who will be satisfied with the product or service they are getting. Having a system in place for automatic conversion after trial is still a legitimate sales practice. However, your recurring billing platform must allow you to easily switch to requiring customer interaction to activate the subscription in order to comply with rule changes as they are implemented by the credit card industry in the coming years. As the rules put in place by credit card companies become stricter, it’s essential that your recurring billing platform has the flexibility to change with the times. Mastercard’s new rules stipulate that for each month of a recurring bill, “the merchant will have to send a receipt to the cardholder…with clear instructions on how to cancel the service if the consumer so desires." Players in the credit card industry are constantly changing the rules. Sometimes, it is to remain in regulatory compliance, other times the objective is to gain a competitive advantage. Consequently, it’s essential that your recurring billing service allows you to easily customize it as external circumstances shift. As your free trial period progresses, you should have the option of providing customers with a variety of charge models in order to meet their specific needs as determined during the trial. For example, while a fixed recurring model (which sells each product or service at a set price that is charged at the beginning of the billing cycle) may make sense for most customers, having the option to offer a seat-based model (with the subscriber paying for each “seat” or license required to use the service) allows the price to be prorated for users who are added after the beginning of the billing period. This functionality is essential for converting leads at all stages of the trial period. Your charge model should also have the option to offer customers near the end of their free trial a one-time charge rather than on a recurring basis. This works for customers who, at the end of the trial, are not yet ready to commit to a subscription, but who would still like to test the services (in other words, customers who are still “on the fence”). Your billing system should allow you to customize this one-time charge price so that, for example, you can offer a one-time discount as an incentive to convert hold-outs to a recurring plan. 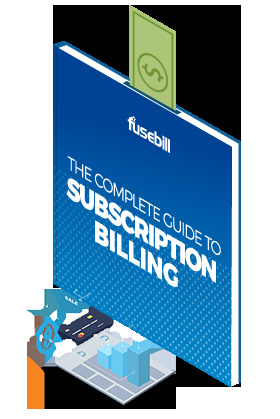 Complete Guide to Subscription Billing. This guide will walk through the wide range of features required to automate your recurring billing, subscription management, and payment processes. It’s essential that you have the ability to easily push data collected during free trials into your recurring billing system. Conversely, your billing system should have the capacity to push data to other systems such as Salesforce CRM, QuickBooks or Netsuite. Your recurring billing platform should have clear workflow and API call flows established, making the push, pull and conversion triggering process seamless. The data collected during the free trial process will allow you to pinpoint the strategies that result in higher conversion and, in the initial months of paid subscription, lower churn. Your subscription management platform, therefore, should provide you with complete and intelligible conversion and churn reports. These reports will allow you to make the customizations to your free trial process that will result in higher conversions from free trial to paid subscription, as well as reduced churn in the long-term. Mastercard’s January 17 blogpost about new rules for subscription billing is so far just that: a blogpost. Notably, in an earlier version of the post, it appeared that the rules would apply to all companies that rely on subscriptions. However, a day later, Mastercard revised the post, stating that the new rules would apply only to companies offering physical products. Mastercard hasn’t yet presented details about how it intends to enforce the new rules; whether it be through fines, a liability shift, suspension of service, or some other lever. Regardless of what Mastercard and the other big card companies end up doing, having a robust and customizable subscription management and recurring billing platform such as Fusebill will help businesses ensure free trial compliance, improve customer satisfaction, and increase sales. Director of Product, Fusebill. Mark has spent the past 15 years working in high volume SaaS industry leading teams in sales, marketing, and product. Mark’s expertise includes driving companies into higher growth sectors for profitability, increased revenue, and acquisitions combined with a strong focus on customer experience. How do I Recognize Revenue in my Subscription Business?